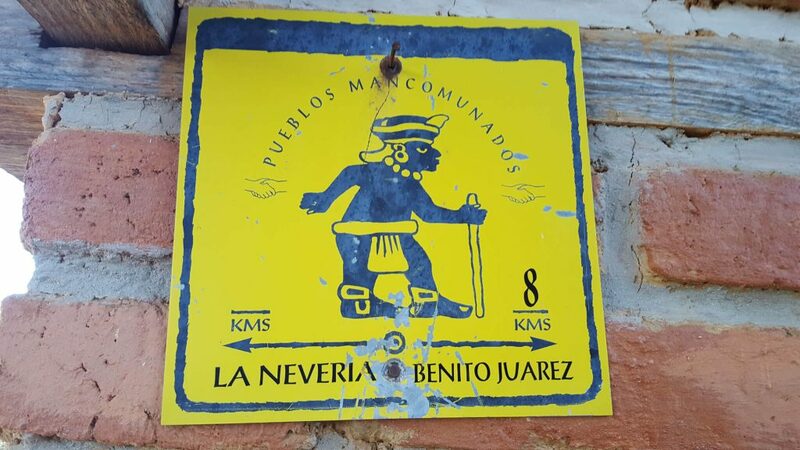 Hiking Sierra Norte Oaxaca Pueblos Mancomunados - Come adventure with me. 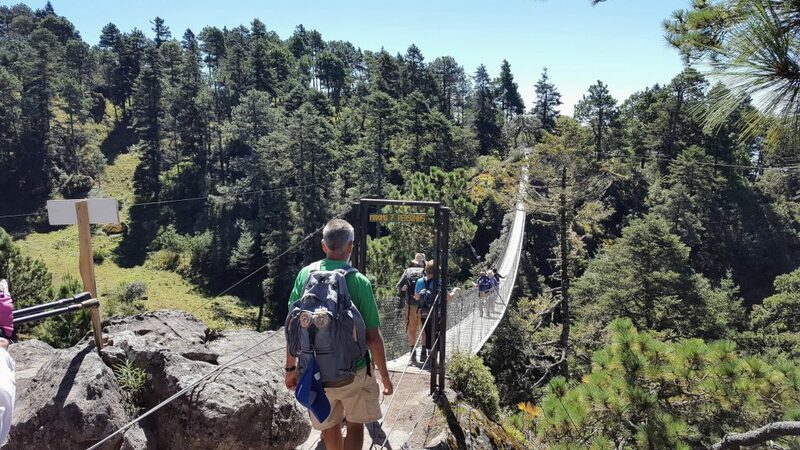 For an authentic, immersive experience in Mexico, you need to hike the Sierra Norte mountains near Oaxaca in the Pueblos Mancomunados. For the last two years, I’ve hiked these wonderful trails in October, and each year, I can’t wait to go back. I always finish the trip in Oaxaca to celebrate the Day of the Dead (Dia de Los Muertos). This year’s adventure was a series of day hikes where each night we stayed in the cabanas of the pueblos within Pueblos Mancomunados. To see the first part of my trip about our urban hike in Oaxaca, click here. To read about the last part of our trip where we celebrate the Day of the Dead, click here. To see last year’s trip, click here. What Are the Pueblos Mancomunados? 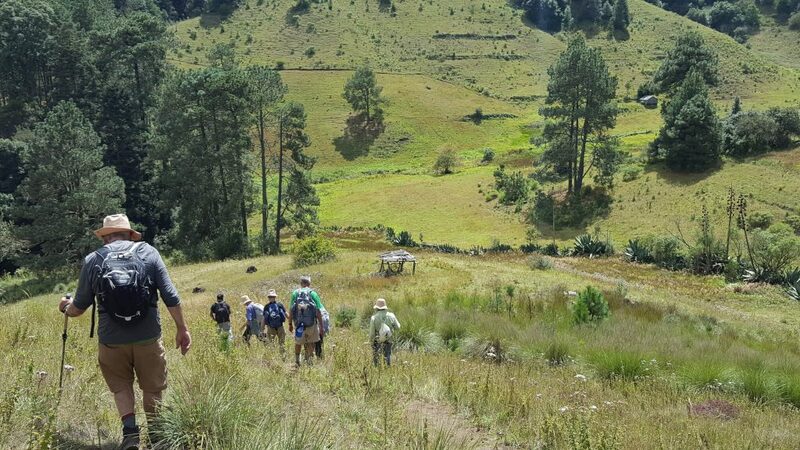 The Pueblos Mancomunados is an eco-tourism cooperative created by the Zapotecans in the Sierra Norte Mountains of Oaxaca. Upon realizing that the future laid in conservation and preservation of their five ecosytems, the people organized into a community of smart, loving, and talented folks. Together, seven villages offer hospitality, food, lodging, and trail guides to day hikers, thru hikers, and day trippers. Their close-knit community shares work loads, jobs, and skill sets to keep the roads open, the cabanas clean, and the comedors full of food. Staying in Pueblos Mancomunados is an authentic, true, Zapotecan experience in Mexico that is safe, fun, and enlightening. 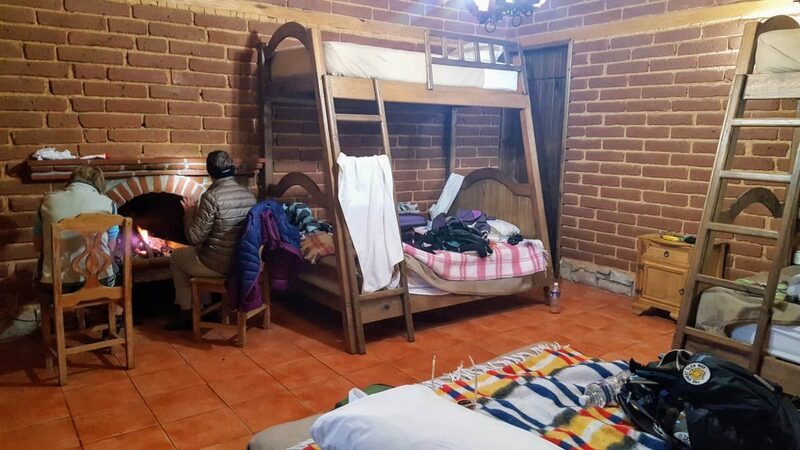 After leaving the Central Valleys, we headed to La Nevería, named after the community that originally provided ice to Oaxaca, and had our first night in the cabanas. In rooms that slept up to five, three of us stayed in warm beds heated by a fireplace. Our dinner that night in the comedor, the kitchen where the locals cook with fresh, locally-grown ingredients, consisted of a squash soup and a piece of chicken. Vegetarians had quesadillas with squash blossom. 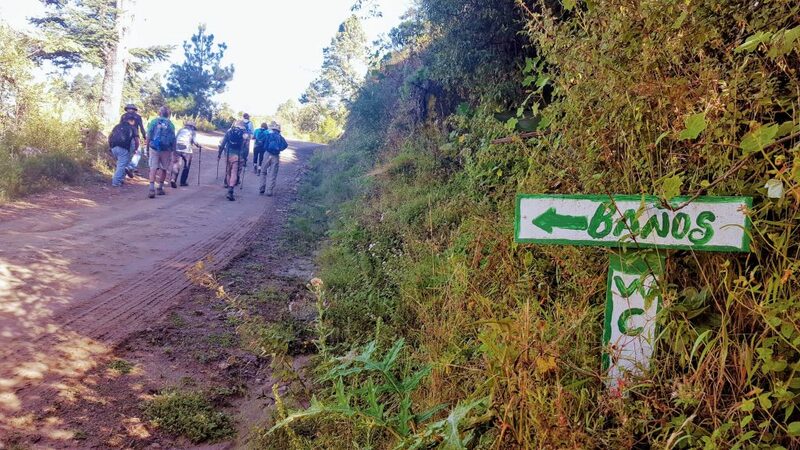 The next morning, after wonderful hot showers and a breakfast in the comedor of eggs in red sauce, we headed out on the Circuito Taurino Mecinas Ceballos. A forested trail with heavy duff, our poles were put to good use navigating ferns, roots, and deep soil. The climbs in the high altitude gave us from Colorado a good run for our money. Thankfully, our guide Celestino, stopped us often to point out the oak/pine ecosystem and its accompanying bromeliads. Five miles later, we popped out of the forest and made our way to Cuajimoloyas for the night. In Cuajimoloyas, a small pueblo whose name derives by combining three words to one, greeted us warmly. The comedor offered up a pork dish while the vegetarians ate a filling squash soup with salad, and the cabanas’ warm rooms comforted us through the night. Our hike the next day took us on Ruta Needa-yaa-Iagashxi, where we climbed to a gorgeous high point at Puente Colgante to overlook the Sierra Madres. 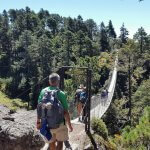 From there, we crossed the famous suspension bridge over the Cuanana River. On our third day in Pueblo Mancomunidas, we ventured out on the eastern side of the Circuito Tuarino Mechinas Cebellos towards Latuvi. Celestino, our guide, is from Latuvi and shared his stories of returning to his home after a stint in the U.S. He has made his way, building his home on ancestral land, raising crops, and doing his service to the community as a guide and a sheriff. Because it’s Mexico, people often ask about safety in the mountains. It was great to hear Celestino talk about how the community provides its own security and knows when anyone comes in and out of the geography of the area. When strangers who aren’t supposed to be there arrive, the community knows and acts quickly. In Latuvi, we had the opportunity to meet with a traditional healer. Celestino took me to meet my healer, a tiny woman of character and stature. She brought me into her home. She placed me on a chair in her bedroom where she dragged a bouquet of herbs and flowers all over the surface of my skin, through my hair and over my face. Next, she took a raw egg and rolled it all over my body. She cracked it into a clear jar and then read the yolk. Although I speak Spanish, I asked Celestino to interpret for me, as her language was old and difficult for me to understand. I am healthy; but someone in my past speaks ill of me. She was going to take care of it for me. 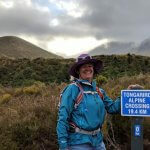 The next day, with full bellies from a warm egg breakfast in the comedors, we hiked one of the best hikes of the week along the original Camino Real. This trail runs from the Pacific Ocean to the Gulf of Mexico, and was the original trading route of the Zapotecans. Celestino took us to an original temazcal, and we passed old ranches and farms along the way. 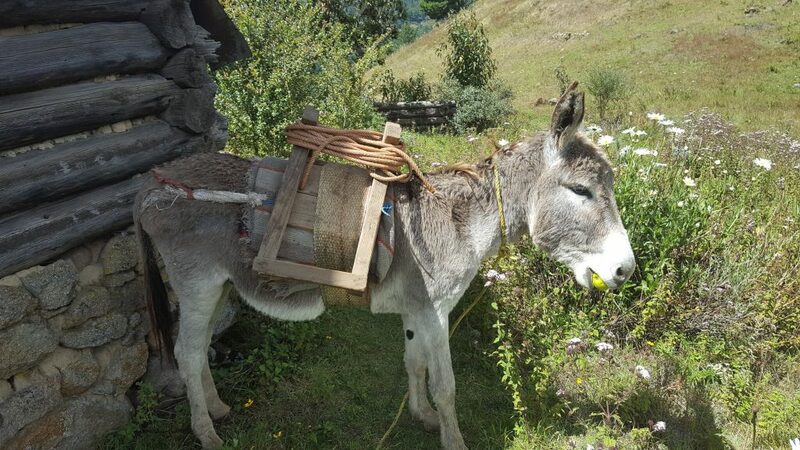 We even got the chance to talk to a potato farmer and meet his donkey, whom we nicknamed Manzana! The history seeped from the trail, as Celestino showed us images of snakes appearing in rocks to warn the mining companies to leave. 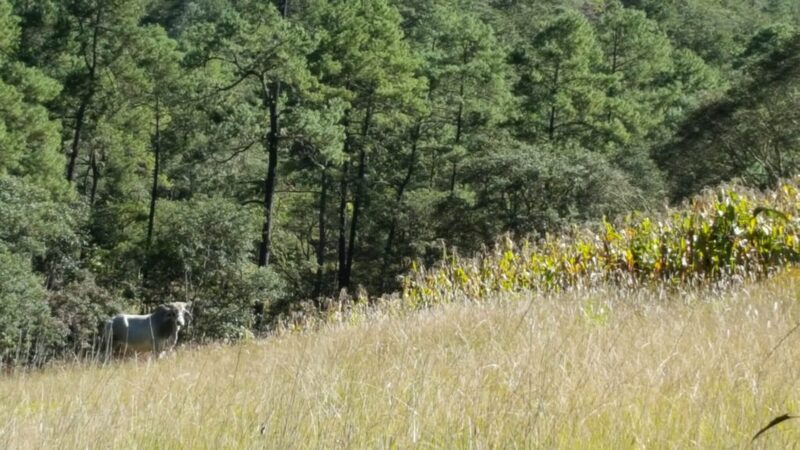 Celestino schooled us on the many species of agave and treated us to details about the hundreds of salvias and other fauna throughout his forest. As we arrived to Lachatao, we looked forward to two days of rest in some of the best cabanas of the Pueblos. They sit in the upper area of Lachatao, overlooking a 15th century church. Lachatao also has a small store (but no ATM, cash only!) and a health clinic. We stopped in the health clinic because one of our hikers had some stomach issues. They provided treatment and western medicine for free. Our tired bones and bodies reacted well to our temazcal treatment. 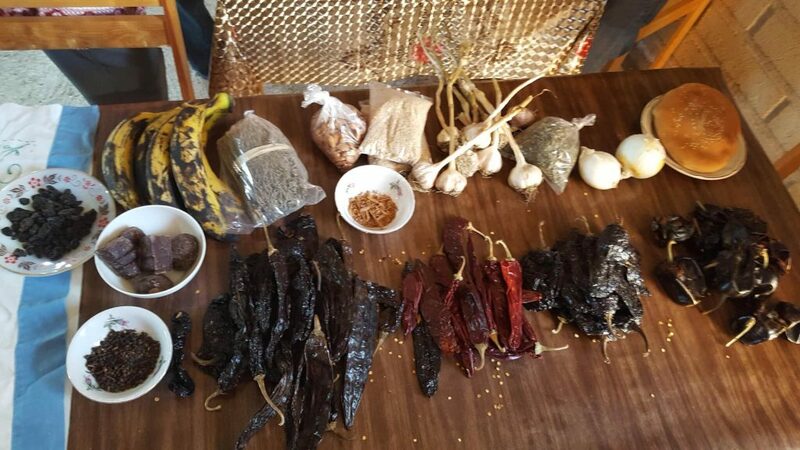 It started with another cleansing, similar to what I had received from the healer in Latuvi (without the egg), and then a dive into a small, adobe cave heated by fire. The four of us laid on the floor mats within the temazcal, drinking a secret tea, sweating, and telling stories of the hot steam rooms we’d visited throughout the world. After 45 minutes of sweating and relaxing, we each received massages delivered with expertise and little bit of grace. The next day we rested our legs but not our stomachs. The mujeres of the comedor offered up a mole’ class! For four hours, we roasted nuts, spices, peppers, plátanos, bread and chocolate to grind them into a brown mole sauce for lunch. From authentic conversation to delicious food, we started relationships with women who have been cooking recipes that have been handed down for centuries for their communities. With one more day of hiking yet to be enjoyed, our rested legs headed out for a fun hike into more modern history. We said goodbye to Celestino and left the Pueblos Mancomunades. Oscar, a new guide from the next community over, guided us to two old mines. 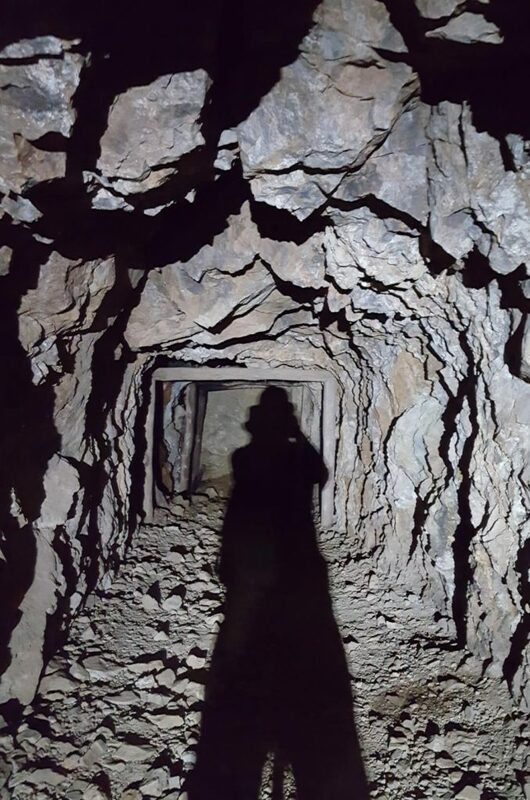 We ducked into the mountain to enter the first mine, yet the second one’s entry was too muddy to pass. 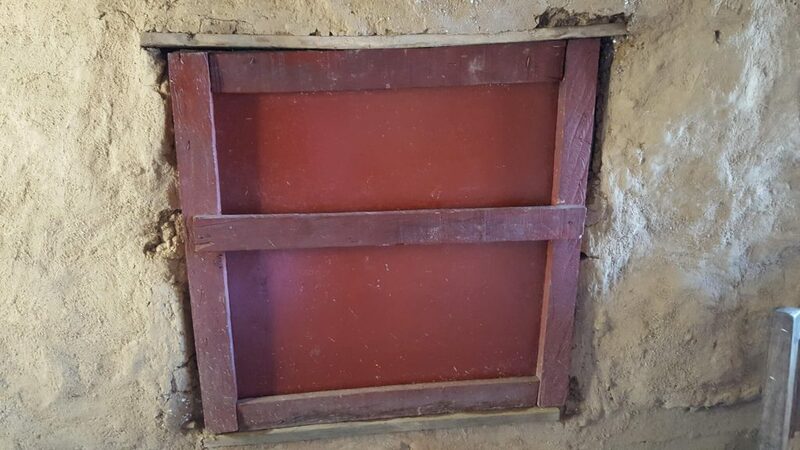 Between the mines, we explored the ex-hacienda Socorro, an old ranch that once commandeered the entire area. We stumbled upon a herdsman managing his three big oxen out grazing along the river. 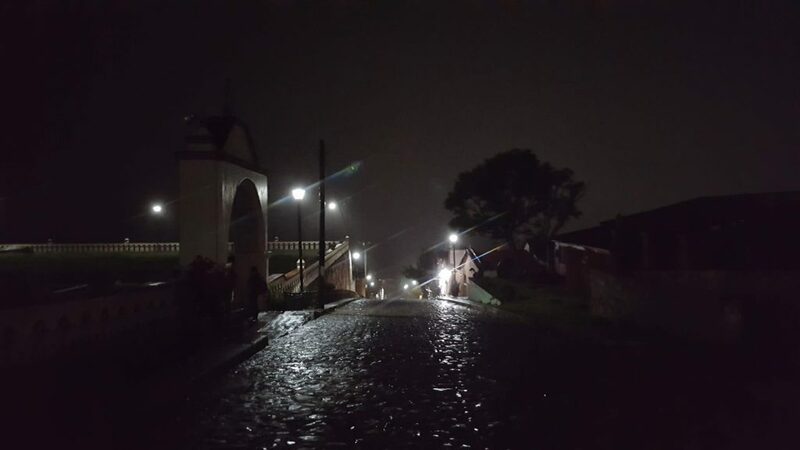 Our day ended in the magic town of Capulalpam de Méndez in the Ixtlán District. Capulalpam de Méndez, a quaint town and the largest we visited outside of Oaxaca, offered wonderful hotel accommodations and delicious restaurants. In addition, the church dominated the town. Small artisan shops decorate the square, offering locals places to shop and a few tourists trinkets. It’s a nice getaway to modern hotel rooms and quiet atmospheres. A walk around town brightens up with colorful homes and fresh flowers everywhere. My friend purchased a string of paper cutouts used for decorating for a mere $1. By the way, there are two coffee shops; both have wifi! From here, we headed back into Oaxaca by way of the Tule Tree and Hierve el Agua. Both are tourist traps, and neither do I recommend. Although the Tule Tree is large and beautiful (if you have nothing else to do, stop there), I’d rather be hiking! Hierve el Agua is on every Oaxaca Top 10 list, but it’s awful. It’s a natural resource that has been destroyed by overuse and re-manufactured with fountains and false ponds in order to create swimming areas for the locals and tourists. At one time, it was probably similar to Yellowstone’s Mammoth Hot Springs, but today it’s a destroyed resource that I recommend you avoid. For the final days of our trip where we celebrate the Oaxaca’s Day of the Dead (Dia de Los Muertos), click here. Want to Go on this Trip in October 2019? Should I Get Google Fi for Home and International Travel? Wow. Sounds like an incredible experience.